I’m always excited to make a recipe that cuts out on some calories. 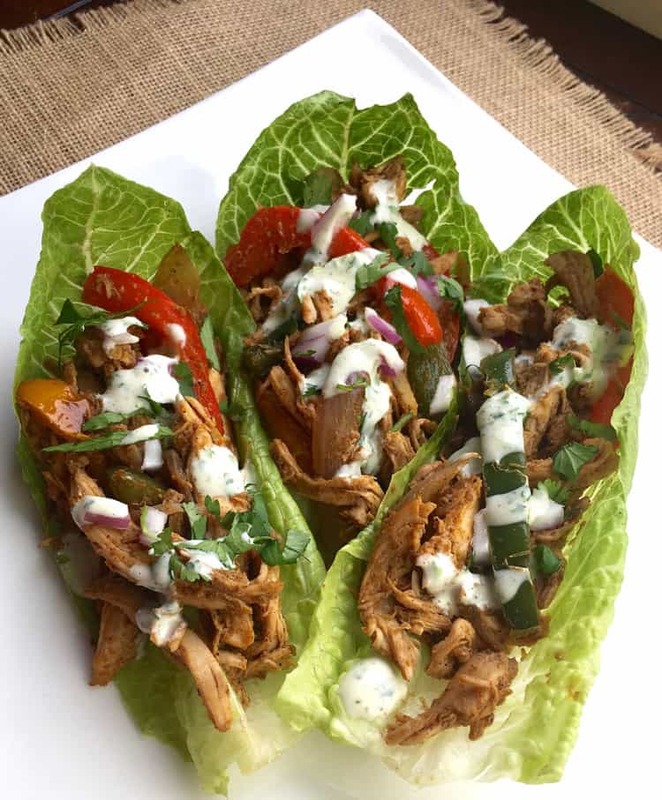 And, while I absolutely LOVE a good tortilla and fajitas the good old fashioned way, I have to say that I feel so, SO good about chowing down on these Chicken Fajita Wraps with Creamy Cilantro-Lime Sauce. We’re talking about delicious flavor, healthier-for-you ingredients, and bite after bite of pleasure knowing that everything you’re digging into is benefiting the body and the soul. Cut down on some of the time it takes to make dinner when you use a pre-cooked rotisserie chicken for a quick and flavorful weeknight meal. Because lets face it. We are ALL busy. That’s the way life goes. And I know many of you, like me, just want to save a a little bit of time when it comes to cooking dinner and getting a good meal on the table. But, what you don’t want to do is sacrifice flavor or good healthy ingredients. Make the food you want to make with a few short-cuts along the way. And, if you don’t want to buy a rotisserie chicken, try to find some time one night a week to do some food prep for the week. It’s well worth the investment of your time. If you cook with chicken a lot, a home rotisserie roaster might be a worthwhile investment. I sure wouldn’t mind coming home to the fragrant aromas of a chicken that’s been slow roasting for me all day long. Yum! For best results, prepare the cilantro-lime sauce the night before so the flavors have a chance to thoroughly blend. You can also prepare the fajita and taco seasoning in larger batches and store in an airtight container for later use. Planning ahead will save you even more time on those busy nights you want to get dinner on the table as quickly as possible. One of the best things about cooking dinner at home is the ability to use fresh ingredients. The freshest ingredients are always the best option (and healthiest) to use when you’re making dinner. You can start with adding fresh vegetables to your dinner table. 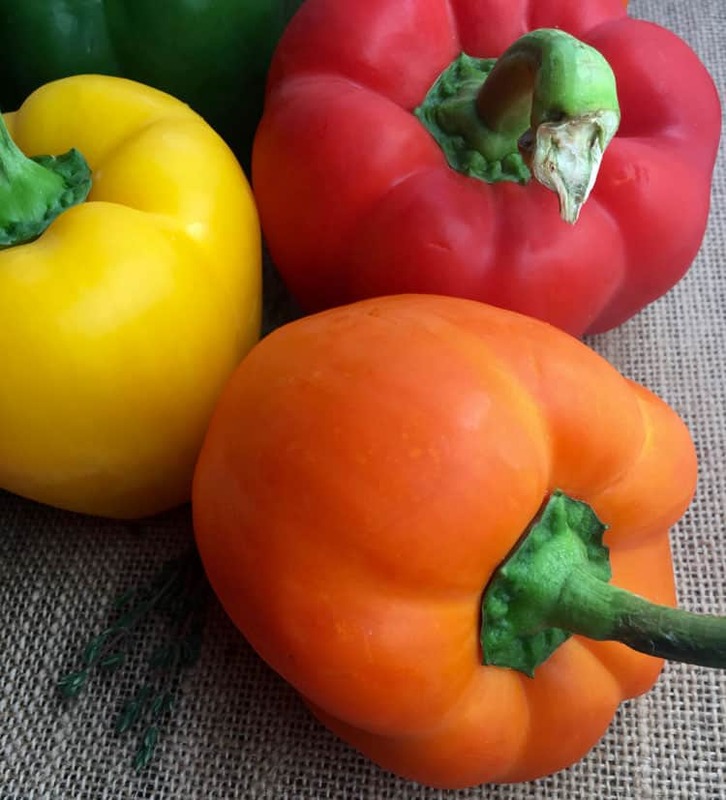 Whether adding fresh veggies to your recipes or as a delicious vegetable tray to accompany dinner, crisp vegetables are a simple and affordable way to add essential nutrients to your diet. Most of us would benefit from eating more vegetables. 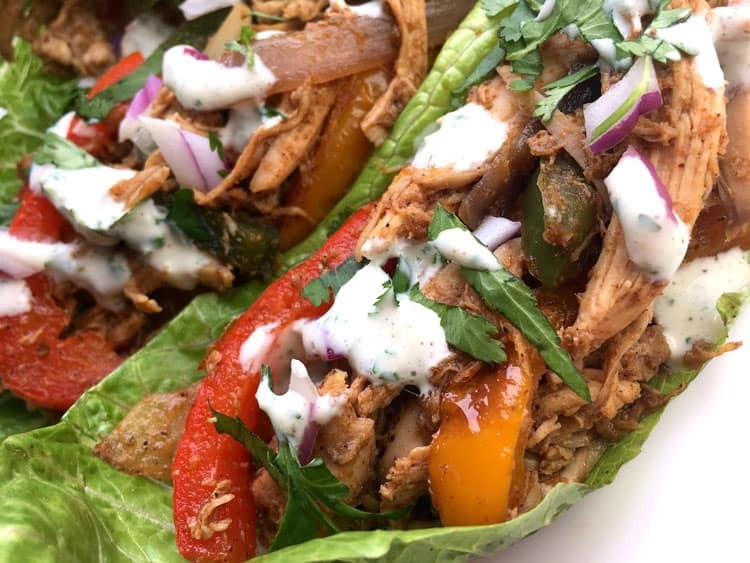 This tasty and creative recipe for Chicken Fajita Lettuce Wraps is a delicious way to add more vegetables to your diet while enjoying a recipe that is low calorie and healthier for you. What’s on your meal plan? You should definitely consider adding Chicken Fajita Lettuce Wraps. Dinner is ready in no time at all with this fabulous recipe! We loved each and every bite of it. These easy Chicken Fajita Lettuce Wraps are a great dinner idea for a lighter meal. The sauce is so delicious and you'll find yourself wanting to make this meal again and again. Prepare the fajita seasoning by combining all ingredients in a small bowl and stirring until thoroughly blended. Store any excess in an airtight container for later use. Prepare the cilantro-lime sauce by thoroughly combining all ingredients in a medium glass or other non-reactive bowl. Cover and place in the refrigerator until ready to use. Heat the olive oil in a large skillet over medium-high heat. Add the bell peppers, onion, and balsamic vinegar to the skillet and season with salt and pepper, to taste. 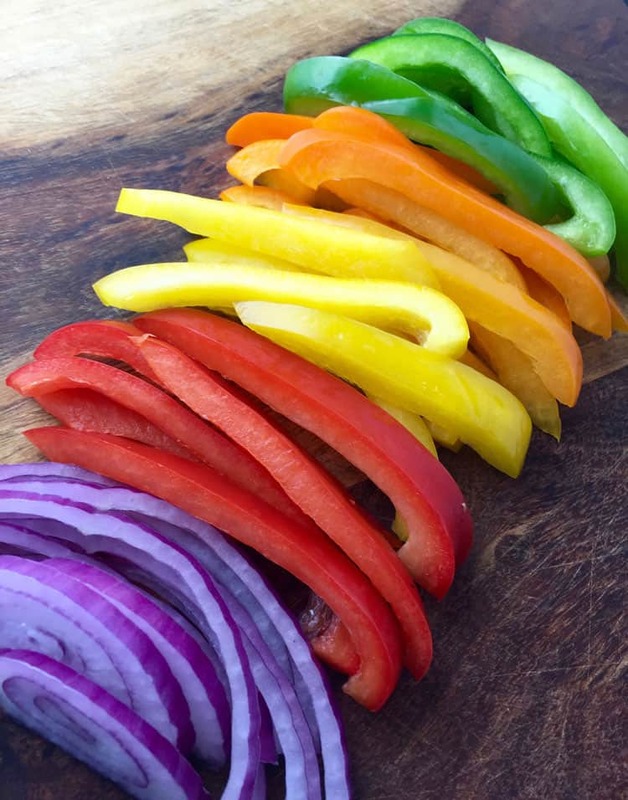 Cook for 10-12 minutes or until the onions and peppers are crisp tender. Add the shredded rotisserie chicken, fajita seasoning, and chicken stock to the skillet and stir to combine. Cook until heated through and excess liquid is gone, approximately 3-4 minutes. Season with additional salt or fajita seasoning, if desired. Remove skillet from heat and stir in the cilantro, green onions, and fresh lime juice. To serve, spoon mixture onto individual Romaine lettuce leaves and top with a drizzle of cilantro-lime sauce. Enjoy!